Weeds are a pervasive and expensive problem in California. 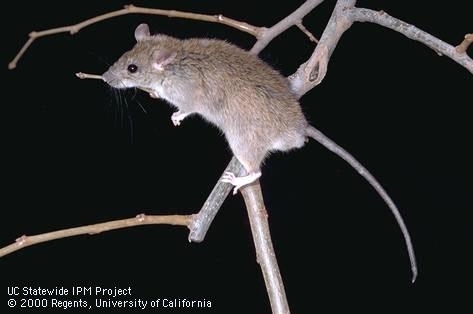 They can choke waterways, crowd out native species on rangeland, and rob farmers of crop yields. According to the California Invasive Plant Council, the annual cost of invasive plant work in California is at least $82 million. 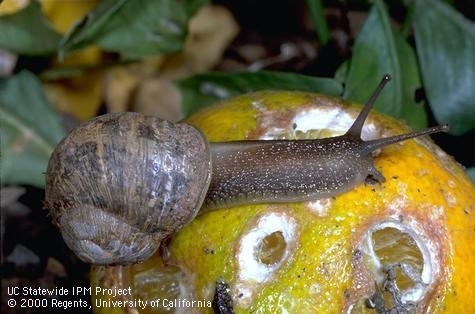 The University of California has robust educational resources to help those engaged in the battle, and this summer UC Davis and UC Agriculture and Natural Resources personnel are offering a trio of programs to help in the effort. The 60th annual Weed Day will be held at UC Davis on July 7 from 8 a.m. to 4:30 p.m. The program gets under way in the Buehler Alumni Center. 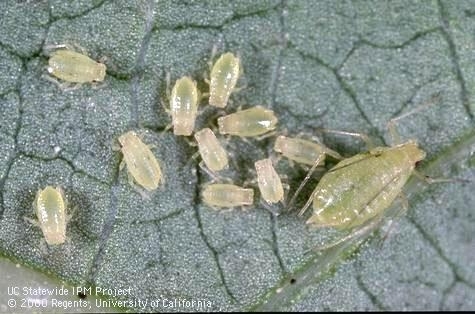 Weed Day will be of interest to pest control advisers, chemical company cooperators, faculty, students and regulatory officials. It is an opportunity to learn about the latest research and to visit current weed-control field trials. The event begins with a bus tour to the research plots. Following lunch, staff and students will present information on projects that are either not in-season or located too far off campus for viewing. The Weed Research and Information Center at UC Davis is offering a new course, Diagnosing Herbicide Symptoms, on July 8 at the Bowley Plant Science Teaching Center. This program will be of interest to pest control advisers, chemical companies, field investigators and insurance adjusters. The course focuses on how an herbicide injury situation can arise, what information can help diagnose herbicide problems during field investigations, and what tools are available. Topics include herbicide modes of action, symptom development, recovery from herbicide injury, economic damage, and other areas. Instruction takes place in a lecture, field visit, and hands-on demonstrations. 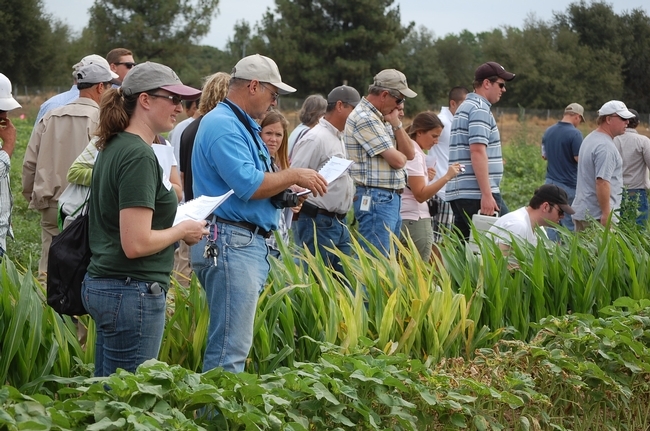 Course instructors include UC Cooperative Extension (UCCE) specialists Kassim Al-Khatib and Brad Hanson, UCCE farm advisor John Roncoroni, and Napa County Agricultural Commissioner Greg Clark. The Aquatic Weed School will be held Sept. 7–8 at the Bowley Plant Science Teaching Center. This intensive course is designed for those involved in consulting, research and management of aquatic weed systems throughout the western United States. Topics include ecological classification and impacts of aquatic weeds, biology of aquatic weeds, physical and chemical characteristics of aquatic ecosystems, regulatory issues, developing an aquatic management plan, aquatic weed identification, equipment demonstration, adjuvants and surfactants for aquatic systems, pest prevention for aquatic weeds, physical and mechanical control methods, biological control, chemical and non-chemical control, and a case study of a complex management plan. Need more information? 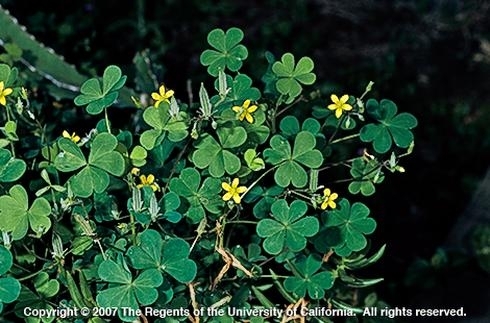 Contact Gale Pérez with the UC Weed Research and Information Center, (530) 752-1748, gperez@ucdavis.edu. Hand-weeding is the best option in areas where other plants are growing. Weeds don't just look unsightly, they are also robbing other plants of water, says a UC Agriculture and Natural Resources (UC ANR) expert in a new water conservation video released today. Any loss of water is a concern as California's fourth summer of drought comes to a close. Missy Gable, director of the UC Master Gardener Program, suggests removing weeds so they won't compete with ornamental plants or edible vegetables. 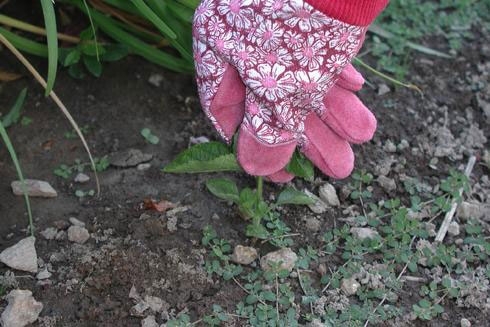 If weeds are scattered throughout yard and mixed in with plants, hand-weeding is probably the best eradication method. 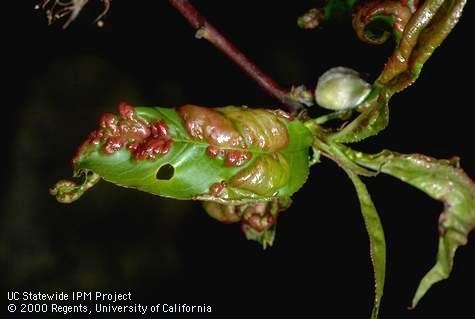 Cultivation can damage ornamentals with shallow roots, bring weed seeds to the soil surface, and propagate perennial weeds, according to the UC Integrated Pest Management Pest Note on Weed Management in Landscapes. Watch for next week's video to learn the importance of mulch in water conservation. Over the last three millennia, the practice of growing rice has evolved and spread throughout much of the globe. From China, through India, to Greece and parts of the Mediterranean and from Europe to the Americas, rice has demonstrated its versatility in desert regions and wetland deltas alike. Abundant in carbohydrates, it is today one of the world’s most widely eaten foods. 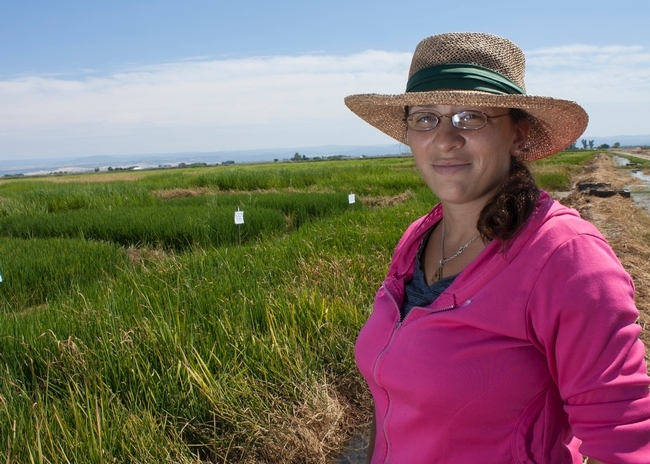 While University of California researchers develop rice varieties more tolerant to the modern challenges of climate change — flooding, heat stress, drought — California rice farmers each year discover more new threats in the form of non-native and herbicide-resistant weeds. So well adapted are these weeds that if left unmanaged, they cause rice yields in some places to plummet to nearly nothing. The introduction of rice to California in 1912 was fraught with weed challenges from the start. The traditional dry-seeding method allowed barnyard grass to quickly overrun fields. 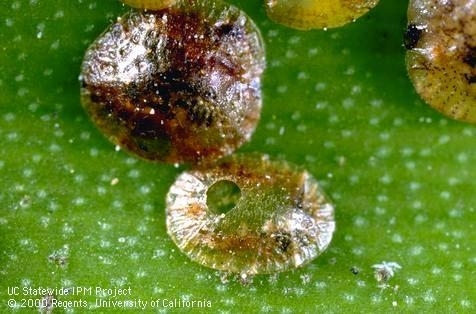 While a new water-seeding technique suppressed the weed, it led to a whole other set of problems. In continuously flooded fields — still the most widely used practice in California today — an imported weed, late watergrass, flourished. Aquatic weeds took advantage of the new environment while others gradually became more flood tolerant. For many years, advanced herbicides allowed farmers to gain ground over these weeds. 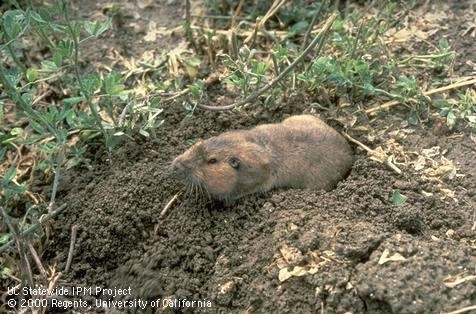 Then, beginning in the early 1990s, several weed species, including late watergrass, were found to be evolving resistance against the most powerful herbicides. 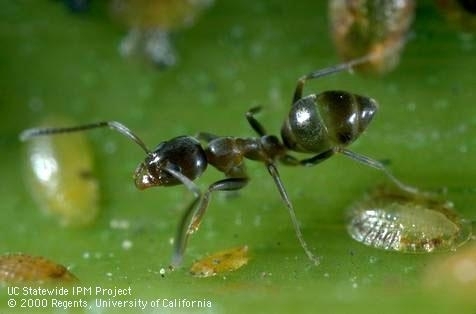 A metabolic resistance to one herbicide, researchers discovered, could lead to resistance for another. Weeds also found new ways to outcompete rice. One invasive weed, Ludwigia, grows fast and tall — as high as 10 feet. Shadowing the rice plants, it spawns tiny seeds that travel well in water. Other weeds, meanwhile, are small and run along the ground to avoid combines and some emerge earlier in the season than rice, dominating resources. In the Department of Plant Sciences at UC Davis, professor Albert Fischer’s laboratory is battling rice weeds on a variety of fronts: by researching the evolution and mechanisms of herbicide resistance, finding traits that make rice varieties more competitive, developing resistance techniques through field testing at the industry-supported Rice Experiment Station in Biggs, Calif., and by encouraging farmers to diversify management methods. One system Fischer encourages is the stale seedbed technique, which allows weeds to emerge first from a reserve of seeds in the soil. Once that flush is up, farmers use a general herbicide to kill the weeds. At least one local farmer with a bad weed problem has controlled late watergrass this way. By replacing herbicides with shallow tilling, organic farmers can use this method. 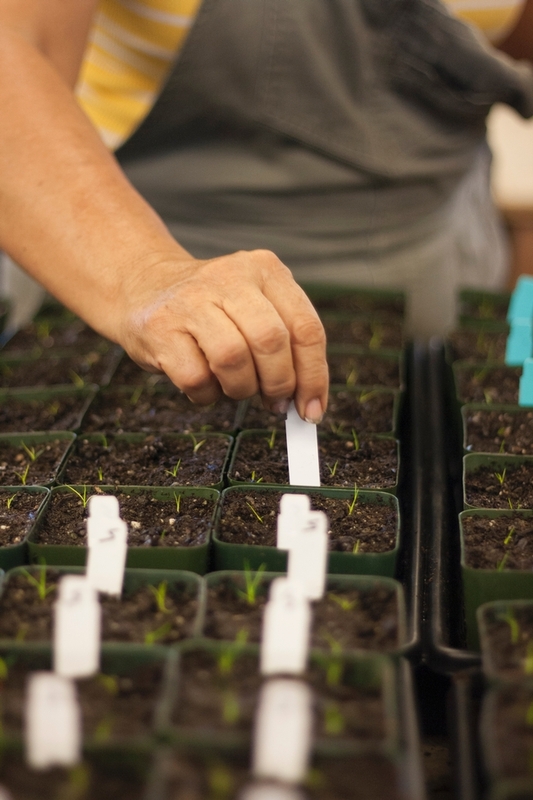 With each management system is a different combination of growing techniques and herbicides, depending on weather, soil moisture and soil temperature, among other factors. Fischer’s team at the experiment station spends much of its time testing these herbicides on new weeds. 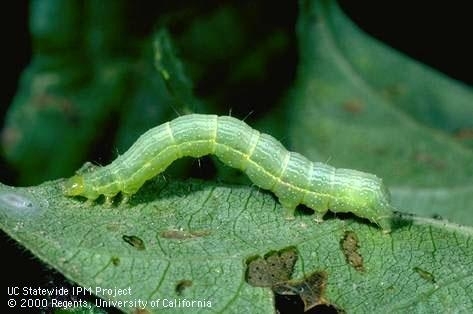 UC Cooperative Extension farm advisors encourage growers to also sanitize equipment, rotate crops, scout for surviving weeds and apply herbicide only when necessary, easing selection pressure on weeds while reducing environmental impact. Along that line, Fischer’s team is discovering how switching growing techniques and irrigation systems may be helping farmers meet higher environmental standards, addressing a trend of steeper water prices in California. Other researchers see this as an opportunity to reduce greenhouse gases released from decaying rice stalks post-harvest. For each strategy, researchers weigh costs over benefits to select the right weapons for arming farmers entangled in this ongoing war with weeds. Try spotting sheep dogs among grazing sheep. In touring the back roads of California’s great Central Valley during wintertime, you may be surprised to come upon hundreds of sheep grazing alfalfa fields. The sheep are penned in by electric fences and graze the fields to near bare soil. Look closely and you may also see some Great Pyrenees dogs, used to guard the livestock from coyotes and other predators. 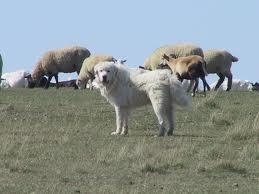 The dogs blend in well with the sheep and it’s often fun to try to spot them in the mob. You may wonder about this practice of ‘sheeping off’ or grazing alfalfa fields, as sheep are most associated with rangelands in the coastal foothills or the Sierras. 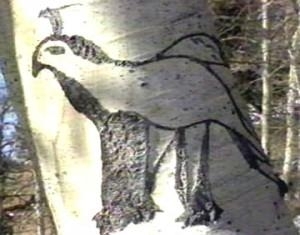 Basque sheepherders have historically managed sheep grazing in the Sierra Nevada mountains, which is a legacy that still remains in arborglyphs, or drawings in aspen trees, and in current grazing leases on federal lands. But sheep grazing in alfalfa fields has also been a long-time practice, probably for as long as there’s been alfalfa in our valley. ‘Sheeping off’ alfalfa fields in the fall and winter, when alfalfa fields are dormant and not growing, is of benefit to both alfalfa growers and sheep producers. The bulk of California’s lambs are born in the fall and early winter. Grazing alfalfa at this time accommodates the lambing operation by providing high quality feed at a time when forage is usually scarce. 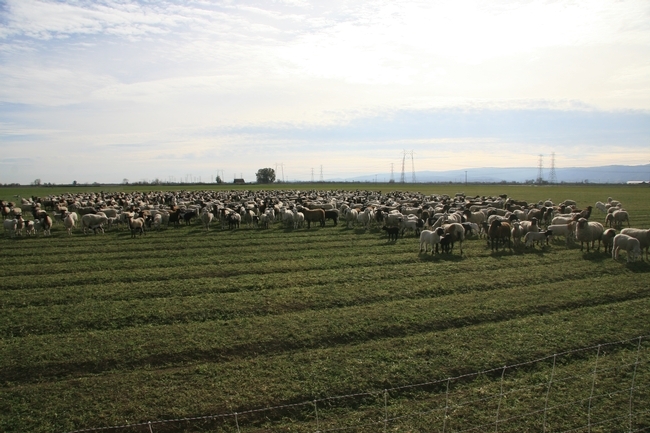 Sheep producers commonly establish enclosed paddocks on alfalfa fields with temporary fencing and then move the sheep to new areas of the field, often daily. Alfalfa growers also benefit from sheep grazing in their fields during wintertime when the alfalfa is dormant. Alfalfa is a perennial crop which means that the root system remains alive below ground throughout the year even when the stems and leaves die during winter dormancy. Sheep feed on winter weeds, helping to control them in both seedling as well as established alfalfa stands that may negate the need for an herbicide treatment. Sheep grazing also reduces the alfalfa vegetation that dies back in winter, producing cleaner hay, the following spring. Sheep also help control weevil insect pests by feeding on older alfalfa stems, where the weevils lay eggs. 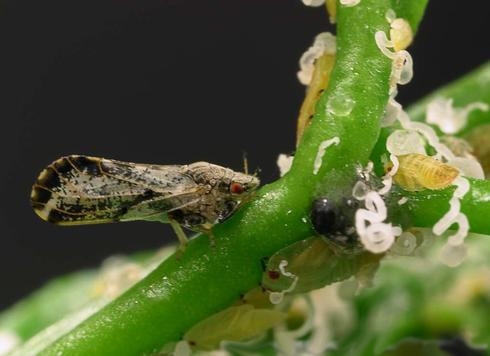 This practice may help reduce weevil pressure and feeding damage to the first alfalfa cutting when weevils are actively feeding, a positive benefit, especially for organic growers. The correct timing of alfalfa grazing is especially important for sheep producers since incorrect timing can result in a potentially lethal condition in sheep called bloat. Bloat occurs when a ruminant, such as a sheep, consumes too much fresh alfalfa with a high concentration of leaf proteins called saponins. When saponins are digested in the rumen, they create foam that prevents the sheep from burping up gases that are a produced from digestion in their stomach. Grazing too early in the fall or too late in the spring increases the risk of bloat, which is another reason why alfalfa grazing is done during the winter months. 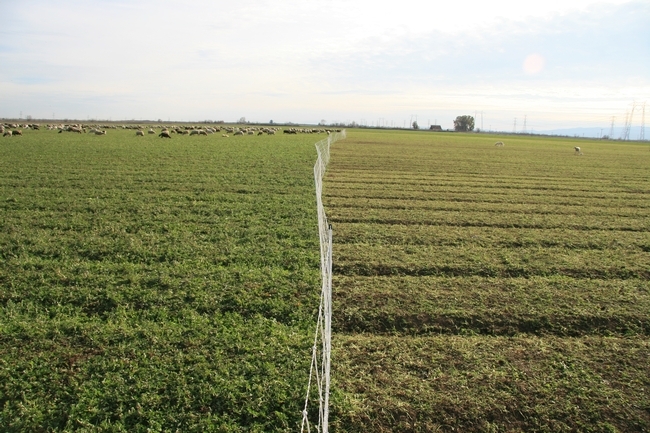 Studies in California have documented economic benefits for both sheep producers and alfalfa growers. Sheep producers benefit from high quality feed during wintertime. Alfalfa growers benefit from weed and weevil control, as well as cleaner hay that can result in higher quality forage compared to non-grazed alfalfa stands. Next time you come upon an alfalfa field full of sheep, know that they’re there for a purpose, providing feed for sheep and weevil and weed control for the alfalfa, in an environmentally sound manner. And, see if you can get in a game of ‘I Spy’ and find those Great Pyrenees dogs. 'Sheeping off' an alfalfa field.